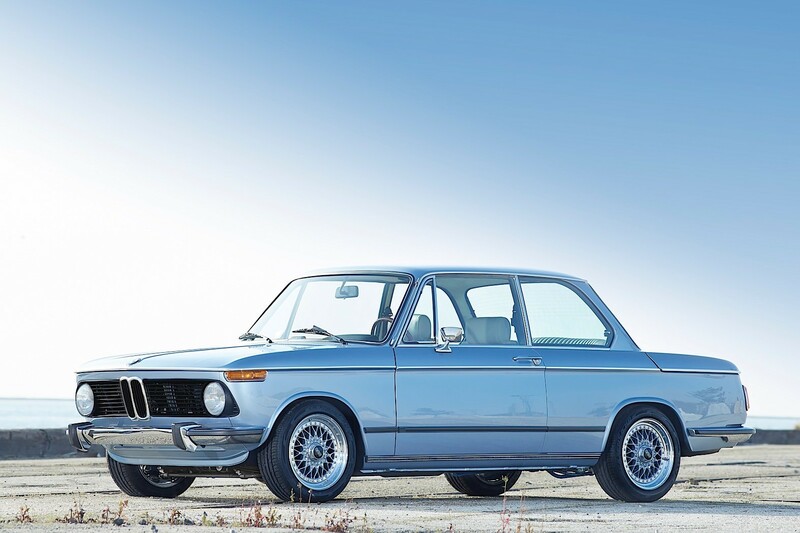 At the Barrett-Jackson’s 14th annual Palm Beach auction this weekend, the $125,000 spent on a 1974 BMW 2002 went to a charity very close to the auction house’s heart, the Barrett-Jackson cancer research fund at the TGen foundation. Russ Jackson, a co-founder of Barrett-Jackson, and his oldest son, Brain, both died from colon cancer. 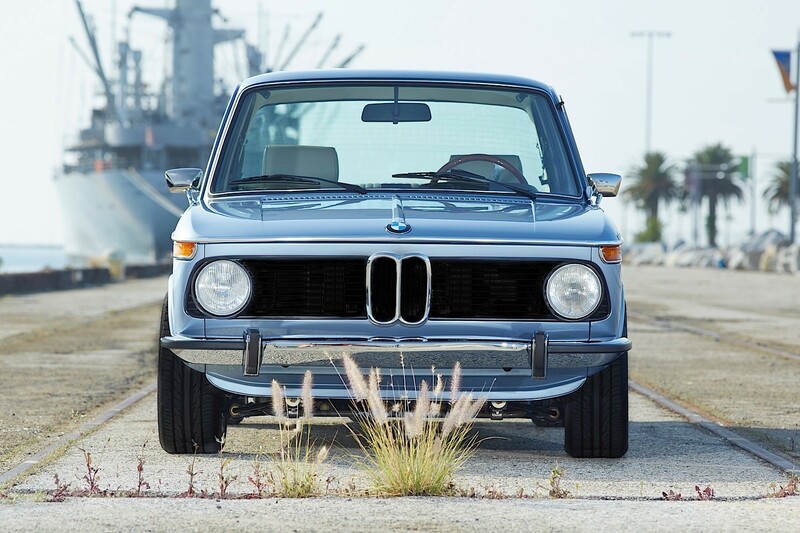 The 2002 invented a genre and that has cemented it in the automotive Hall of Fame. It’s also why BMW 2002s get restored and modified like crazy, because people can’t get enough of them. This specific one, restored by Clarion, looks especially good. 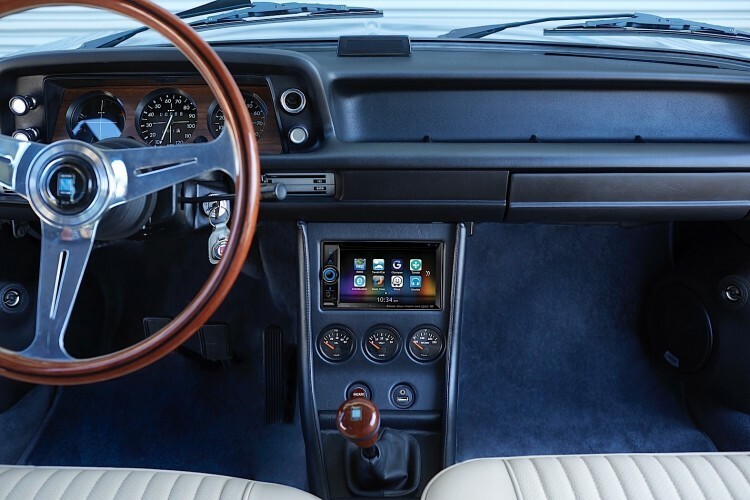 The best part about this Clarion build is the fact that they didn’t RestoMod it, which would have updated most of the car to make it feel and drive more like a modern sports car. Instead, Clarion restored the car and, as they went through the car, upgraded some aspects of the car with parts and techniques that would have been available and done back in the late ’60s. So it’s as if someone bought the 2002 back when it was new and upgraded it a bit back then. Aside from the sound system, obviously, as Clarion is a company that specializes in sound systems. The touchscreen head-unit looks a bit odd in the 2002, but it’s understandable, considering the company that build the car. Clarion maintained a factory-like appearance on the outside of the car with a fresh coat of Fjord Blue BMW paint and NOS BMW glass, seals and lighting. Modifications include European-spec bumpers and a set of restored and period-correct German-made BBS RS honeycomb-style three-piece wheels. The upholstery was upgraded with premium leather, luxurious Alcantara accents, a Nardi steering wheel and shifter. The 2.0 liter single-carbuereted engine has been swapped with a fuel-injected BMW M10 1.8 liter four-cylinder engine and then upgraded with a gorgeous, custom-designed K&N air intake. The factory 4-speed was swapped with a Getrag 5-speed from a later 3 Series. The suspension was upgraded with Koni shocks, stiffer springs, thicker sway bars and 4-piston Wilwood brakes on all four corners to improve the driving dynamic of the car on the road and on the track. It’s the kind of car that just makes you want to drive it more and more.